What's in this month's box? Our office's dedicated account manager is great as he's super responsive and helpful whenever we have a questions. The dried snacks have also been a hit! Our team has been enjoying Desk Nibbles and loves the variety that they provide to our office. Every week there is something new for everyone to try. 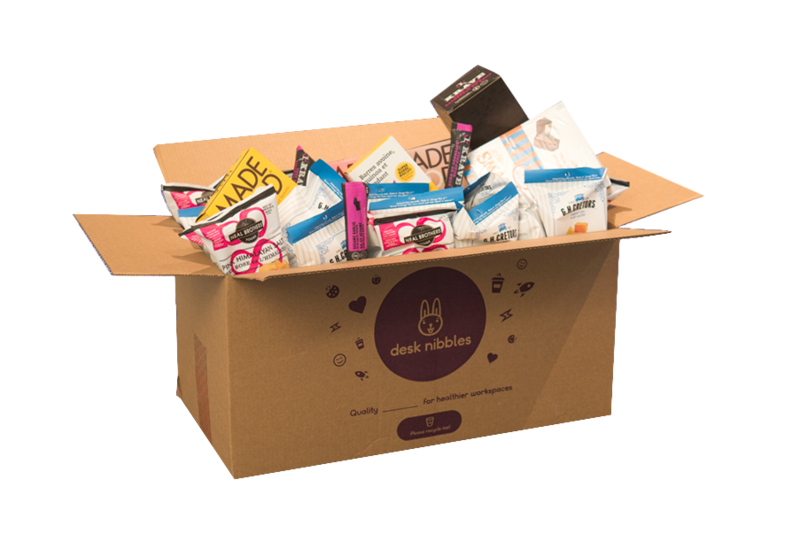 Your Desk Nibbles box plan is flexible around your unique needs. You'll never be locked into a contract. Need to pause or cancel? Just let us know. You'll always receive new snacking options with our rotating inventory system. Never get bored with your office snacks again! Your box is tailored to your needs. 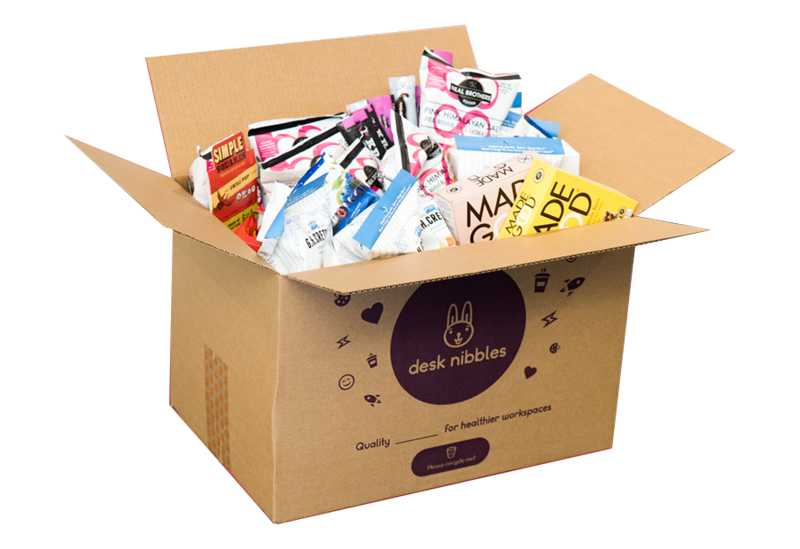 Dietary preferences & the tastes of your office are easily updated through our support & Nibbler chat bot.